YPA Public Adjusters has a team of licensed public adjusters ready to assist with your property damage insurance claim as a result of Hurricanes in Florida. YPA Public Adjusters has a team in Florida and can file your property damage claim for you. Hurricane Michael Informative Meeting - A Roadmap to a Better Claim: Discussion concerning Hurricane Michael insurance claims, including how to handle: underpaid claims, missed structural damages, contents inventory, business interruption, and general advice on how to be more successful working with your insurance adjuster. Friday, November 2 at 6:00 p.m.
Saturday, November 3 at 10:00 a.m. Hiring a public adjuster who will work for you, the policyholder, means being able to pursue your claim for a full resolution and getting the claim settlement you deserve under your policy. YPA Public Adjusters has a team of licensed public adjusters who will help resolve your insurance claim. We will review your claim and policy for advise as to coverage issues. YPA Public Adjusters can help you! Deciding on a public insurance adjuster in the Panhandle of Florida can be stressful – we understand! The settlement offer you have received may be much less than you were hoping for. You are entitled to a fair settlement. YPA can help you with your property damage insurance claim. YPA Public Adjusters is Ready to Help. There are advantages when working with a public adjuster. Let YPA Public Adjusters handle the entire process of filing the insurance claim and negotiating a settlement on your behalf. Navigating through an insurance claim can be extremely difficult and stressful as well as very time consuming and technically difficult. The claim could be delayed if not handled properly. Serving the Florida Panhandle : Apalachicola, Destin, Fort Walton Beach, Panama City, Panama City Beach, Pensacola, Tallahassee, Blountstown, Mexico City Beach, Port St. Joe, Wewahitchka. If it seems like your insurance claim is being mishandled or the insurance adjuster's estimate is not the what you expected, you have a choice. The insurance claim process is complicated. Creating an inventory of personal belongings or business personal property is particularly an overwhelming task. Our team of experts are experienced in this process and the various stages of your case. Our team of licensed public adjusters has years of experience and a unique perspective on handling claims. Our team has a background of working for insurance companies and experience handling some of the most complex losses in the industry. YPA has the inside advantage as public adjusters based on our team’s experience. We have handled hundreds of thousands of dollars worth of claims against insurance companies. When we are faced with difficult issues on a claim, we know how to handle the situation. Our focus is on quality, not quantity. The services we provide center around our attention to detail. We handle only selected claims so that each of our clients receives the highest level of service possible. At YPA, you're a client not a claim number. 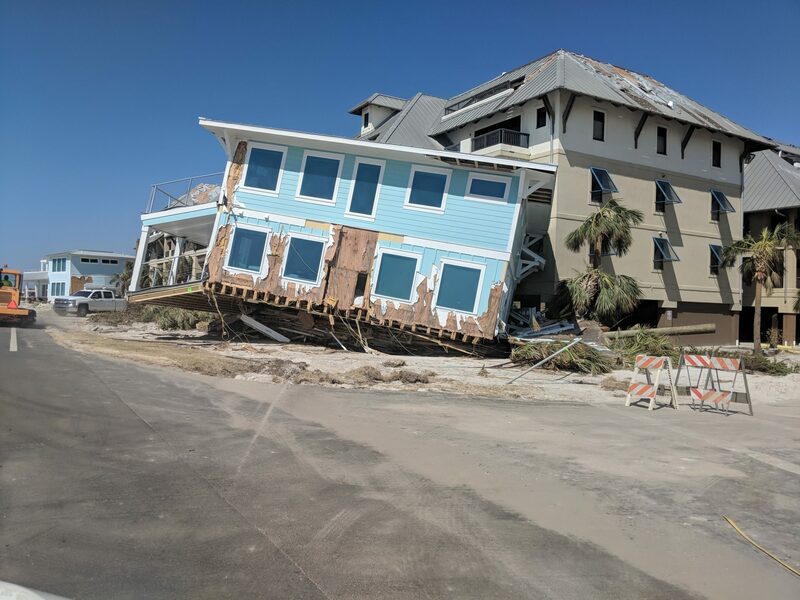 Florida Property Damage from Hurricane Michael. Like any part of the structure, the roof will eventually be damaged. Especially if it has been exposed to high winds from Florida hurricane. In fact, because of its exposure to the elements, it is probably the most vulnerable part of the house. It is exposed to maximum stress and strain - especially in a hurricane. Unfortunately however, the roof is also usually the last to be noticed when it comes to the maintenance of the house or filing a claim with the insurance company. Most homeowners have their walls repainted, or have new bathroom fixtures installed but how many have their roof upgraded or repaired? Even with new developments in roofing designs, roofs still deteriorate faster than walls. If you pay as much attention to your roof as you do to your walls and other parts of your house that you constantly maintain and/or upgrade, you will easily detect roof damage at its early stage. When filling a claim with your insurance company - be sure to include your roof. The whole point of having insurance is to make you whole again after a loss. Get your business up and running again so you can take care of day-to-day life. It's not easy running a business and having to work with insurance companies. A hurricanes in Florida can leave an entire business crippled. Let us work for you while you focus on getting the business up and running again. 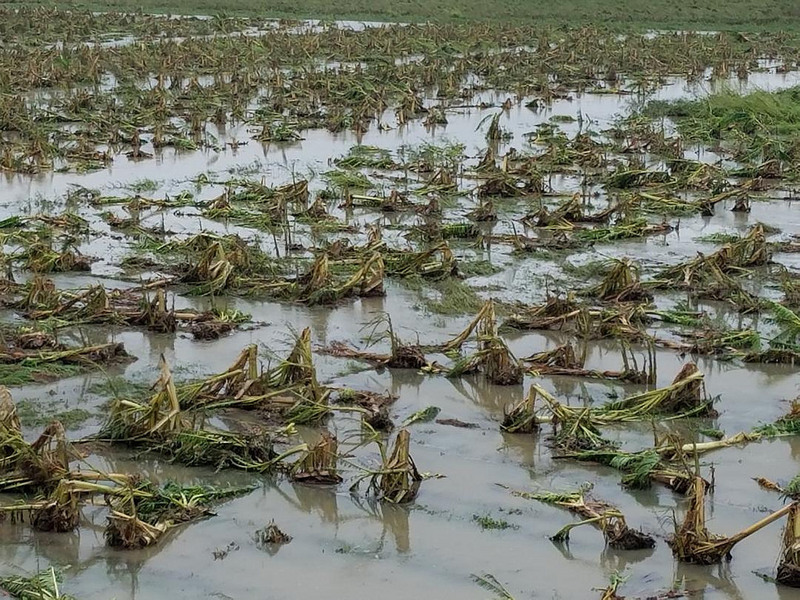 Hurricane Michael has left you with many questions about your insurance. Insurance can be complicated and overwhelming, many times frustrating when the insurance company is slow to respond. We work for you to speed up the process. We are skilled & knowledgeable, with many years of expertise. We look forward to working with you. Please complete the form below. Someone will get back to you within 24 business hours. We look forward to speaking to you soon.